Chain and Rope Suppliers can manufacture an A frame gantry to your specific specifications as required. 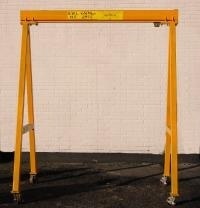 Or provide you with one of our rental A frame gantries. Our mobile/portable A frame gantries can be used with one of our chain blocks, pulley blocks, lever hoists, wire rope hoists, tirfors, 110v electric chain hoist or 220v electric chain hoist. The top hook of the hoisting component is attached to the underside of the A frame gantry using a bow shackle or a dee shackle. The A frame gantry can be coupled with other hoist equipment supplies and lifting gear such as chain slings, wire rope slings and polyester webslings to safely complete a lift. Easily assembled from 3 sections, our A-Frame Gantry range is a versatile portable unit which can be fixed to ground or mounted on swivel, lockable castors. The unit is ideal for companies who may have lifting requirements in more than one location. With safe working loads ranging from 50kg to 3,000kg, we can fabricate a unit to suit your needs. Chain and Rope Suppliers can also offer a lightweight Aluminium option with a safe working load range from 500kg to 2000kg. These units are extremely easy to assemble and disassemble are extremely portable. 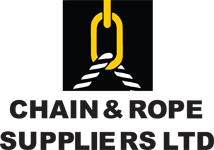 For more information on Chain and Rope Suppliers A frame gantry sales and rental contact us using our contact form or call us on 00353 1 457 0021. We will be happy to talk with you.